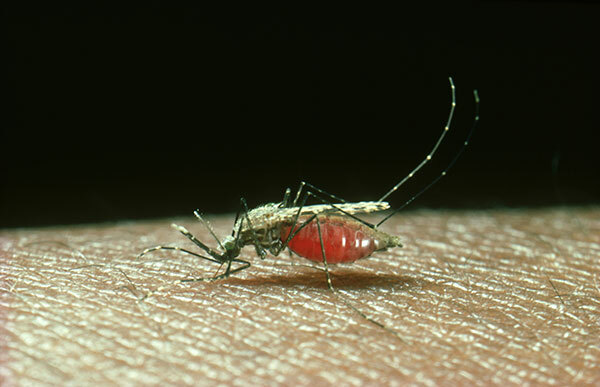 The idea of using a “gene drive” to decrease the transmission of malaria by suppressing the mosquito population has been around for about 15 years. For the first time, complete suppression of an Anopheles gambiae mosquito population has been achieved, bringing this technology one step closer to becoming a reality. Researchers led by Andrea Crisanti, Ph.D., professor of molecular parasitology at Imperial College London, constructed a CRISPR-Cas9 based gene drive that not only caused the crash of a population. It also showed no signs of resistance of the targeted gene in the modified mosquito. Gene drives, well documented in nature, increase the odds that a gene will be passed on to offspring. They can be used to spread genetic alterations in wild animal populations and the introduction of the genome editing tool CRISPR-Cas9 has quickly advanced the engineering of gene drives in the last 5 years. The paper entitled, “A CRISPR-Cas9 gene drive targeting doublesex causes complete population suppression in caged Anopheles gambiae mosquitoes,” published today in Nature Biotechnology, targeted the “doublesex” gene—the gene responsible for determining whether a mosquito develops as male or female. The team did the work in A. gambiae mosquitoes, one of the most efficient malaria vectors that is particularly significant in sub-Saharan Africa. The gene drive disrupted a region of the doublesex gene that is responsible for female development. Therefore, both male progeny who carry this modified gene and females with only one copy are not affected. However, females with both copies of the modified gene are completely sterile and fail to bite. Not only that, but the gene drive was copied nearly 100% of the time, showing rapid spread and population suppression in a small cage setting. By doing this, they have reinvigorated the idea that suppression can work, in large part due to the lack of resistance in their system. Dr. Burt adds, “This is the first paper to deal with resistance in a head on way in a cage population.” Resistance occurs when the targeted gene develops mutations that both render it non-susceptible to the gene drive. This mutation and resistance to the drive are then passed on to the offspring through mating, rendering the gene drive nonfunctional. Dr. Nolan knows that there is “still plenty of work to do.” Dr. Akbari looks forward to seeing the gene drive tested in a wild population from Africa, to ascertain the efficiency of the drive in diverse genetic backgrounds.